The National Partnership for New Americans just released a report that shows the amount of immigrants applying for citizenship is up dramatically. The amount of immigrants who apply for Naturalization, or the process for immigrants to become citizens, usually increases during presidential elections but that momentum has not slowed down in 2017, according to the report. FileRight CEO Cesare Alessandrini has written extensively about the USCIS’ struggle and how their attempts at a technological solution have failed. 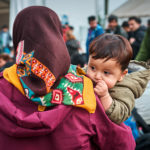 “There are few issues within the immigration fields that are not controversial in the current climate, but the case of lawfully present and eligible immigrants who have gone through the time and expense of pursuing the dream of U.S. citizenship should be one of them,” Emily Gelbaum the study’s author writes. “The current climate of insults and threats toward immigrants, and increased immigration enforcement by this administration has resulted in millions of immigrants feeling fear and resentment towards unfair scapegoating,” the report states. Researchers found that many eligible immigrants do not apply for citizenship for a variety of reasons including, cost, lack of clear information and fear of failing the citizenship test. It’s FileRight’s goal to ease those concerns by providing you with easy-to-understand information and the help you need to get your application filed right. Customers can find out if they’re eligible for citizenship before they start filling out the citizenship form and receive guidance to complete the entire application. FileRight’s immigration lawyer review also helps deliver peace of mind by having an attorney look over your application before it is filed. Find out if you’re eligible and get your application started today.